Are you an avid mountain biker yet wonder “what is enduro?” Fear not, you are not alone. We sat down with Honey Stinger Bontrager Mountain Bike Team rider Cooper Ott to get the low-down. Hello! 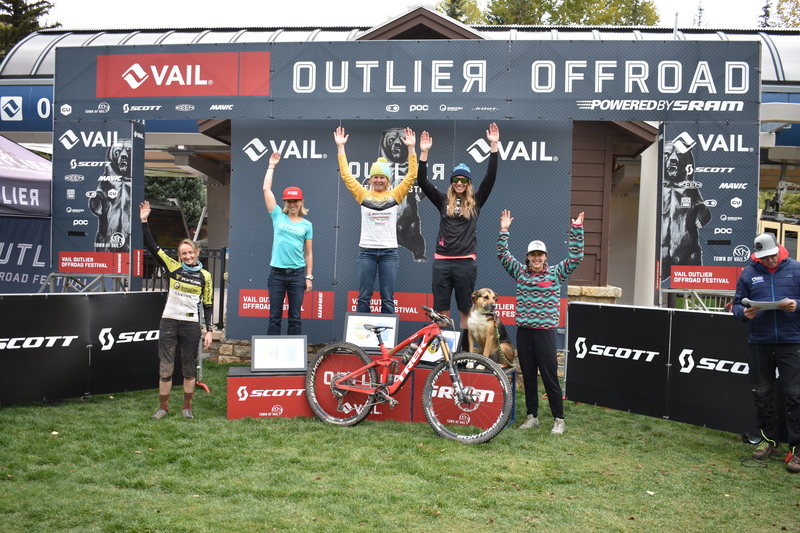 My name is Cooper Ott and I race Professional Women’s Enduro. I am here to give you a look into an enduro race weekend. Some of you might be wondering “What is enduro?” Enduro mountain biking is a stage race where the timed stages are downhill. The climbs are like going on a group ride with a bunch of friends – hanging out, talking about the stages, eating waffles and energy chews. Once you have made it to the top of the stage, you wait for your turn to race. Usually you have some time to drink more water, put on your pads (I wear knee pads, elbow pads and a chest/back protector) before being called into the start gate. In the start gate while nerves run high, I like to try to remember all the key sections of the track that I practiced earlier in the week. The 15 second warning comes, then 5…4…3…2…1… and boom! Sprinting out of the gate as fast as I can! Because enduro stages are typically anywhere between 3 and 20 minutes long, it is important to find your rhythm quickly. Some stages are super technical, full of rock gardens, drops and jumps, while other stages are more smooth with fast flowy sections. The perfect race has a good mix of technical and flow. At the end of the day, the person with the lowest combined time from each stage takes the top step. Most of the races are around 30-45 minutes of timed racing, and in the end racers are separated by only a few seconds. To prepare for these races, I try to plan a few hard days of riding back-to-back to simulate the amount of riding I will be doing during practice and the race. This season my focus was on improving my handling skills. I spent a lot of time working on drops, jumps and rock gardens. For fitness I relied on long trail rides, pushing myself on the steep challenging climbs. Even though there is only 30-45 min of timed racing, we are on course for an average of 5 hours. It is so important to stay fueled. I usually pack a couple Honey Stinger waffles and energy chews to eat between stages. If the transfer is short I eat a waffle, but if it is a long transfer I make sure that I am eating frequently to keep fuel in the tank for the upcoming stage. For the biggest days, I also pack a protein bar and eat it immediately after I am done with the last stage. It is especially important to refuel when it is a two day race. The last thing you want to do is race technical and physically demanding stages on an empty stomach. Race weekends are physically demanding but so much fun. Getting to hangout with friends as you climb, eating tons of Honey Stinger goodies and being outside riding bikes. What more could you ask for? 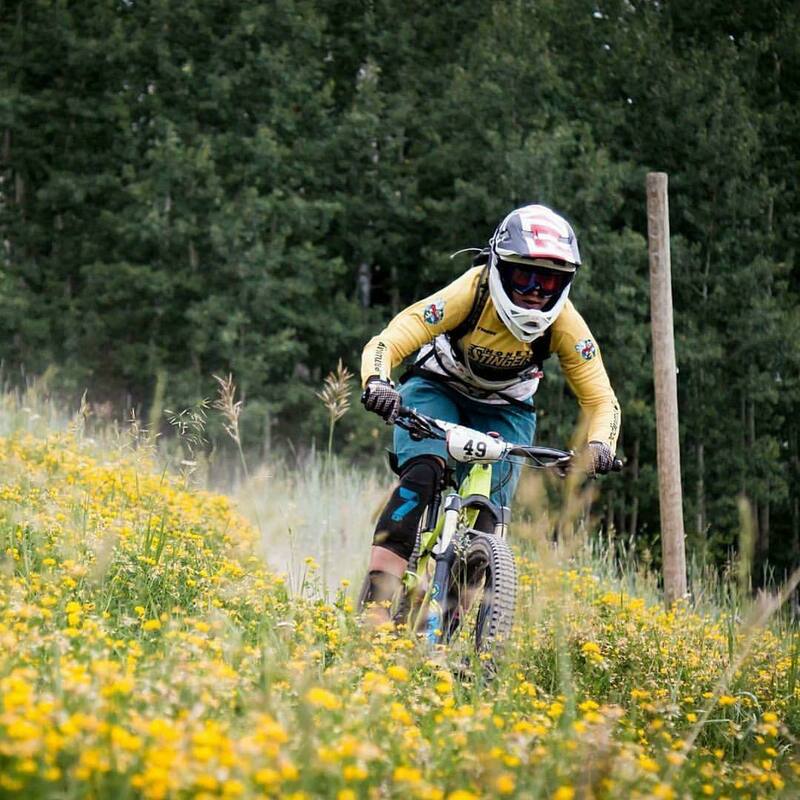 This entry was posted in Hive News, Team Honey Stinger/Bontrager and tagged Cooper Ott, enduro, enduro mountain biking, energy chews, Honey Stinger, Honey Stinger Bontrager Mountain Bike Team, Waffles. Bookmark the permalink.